Gallery Pradarshak: On View at Pradarshak - "Expressions" Semi-abstract Figurative Paintings by Various Artists. 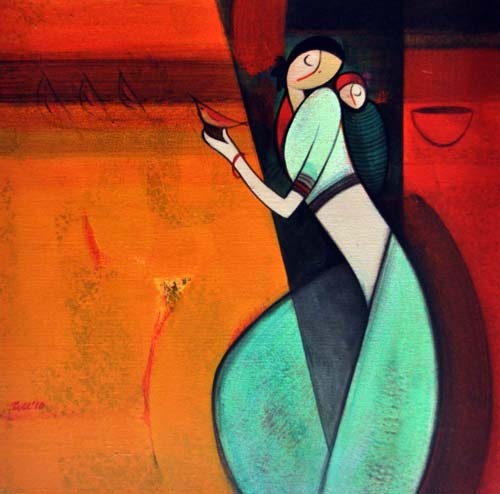 On View at Pradarshak - "Expressions" Semi-abstract Figurative Paintings by Various Artists. 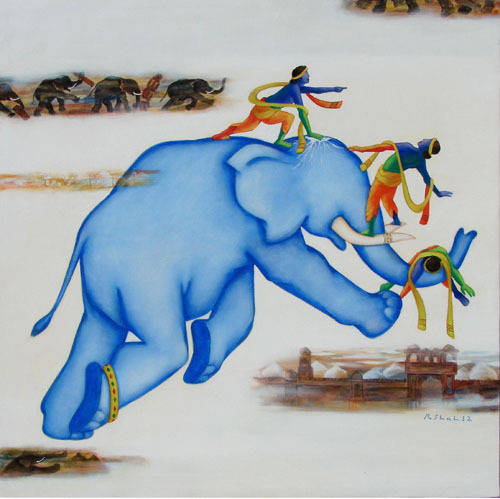 4th June – 30th June.’12: Pradarshak presents "Expressions" Semi-abstract Figurative Paintings by Various Artists. This June 2012 gallery Pradarshak, acclaimed as the smallest gallery of fine art and synonymous with quality fine art from India celebrates its 18th anniversary. On this occasion, Pradarshak picks out a selection of artistic expressions in the figurative genre, spanning through the gamut of emotional and artistic strength. Various artists work in the figurative medium, collating their thoughts, playing with their muses, juggling influences and inspirations, as they express what is closest to their hearts in their distinctive style. Featured are works of artists: Ranjit Kurmi, Jagannath Paul, Rajesh Shah, Jyothi Hattarki, Eknath Giram, Sudhir Pawar, Datta Thombare, Gopal Shinde, Nilesh Pawar, Pankaj Sonavane amongst others. Very Nice. I must drop in one of these days and have a look.